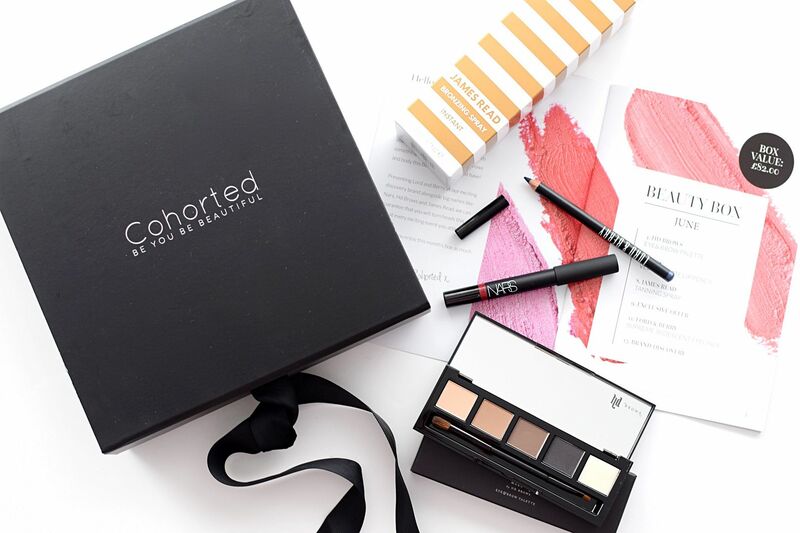 Cohorted is not just any subscription beauty box, it is a luxury beauty box. Every month it is filled with luxury branded beauty products such as NARS, Chanel and Lancome. I had never tried the box before and so when Cohorted got in touch and asked if I’d like to try it out, I was more than keen. This month’s box was the June 2016 box and I was unaware what was in it as I hadn’t seen any reviews and also each box is a surprise, so unlike some other beauty boxes you can’t choose any of the items within it. The box is £35 a month including free delivery, which was delivered Special Delivery via Royal Mail. The box itself is presented very well, with a black and white design and a black ribbon, very Net A Porter style. Inside it’s filled with black tissue paper, your beauty items and a booklet which is filled with info on the products and also discounts for the site too. I have always wanted to try HD Brows products but never had so was excited this was included. 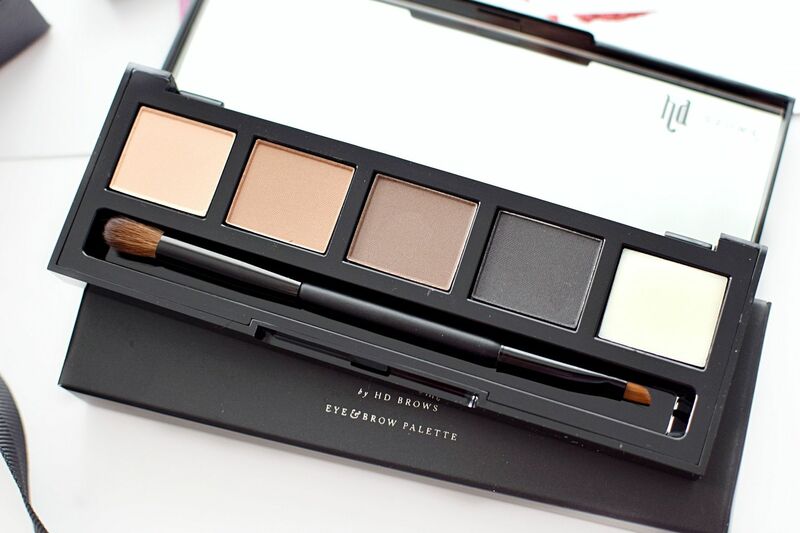 The palette has four different eyebrow shades and a wax, plus a brush to apply it. I’ll be looking forward to testing this one out. 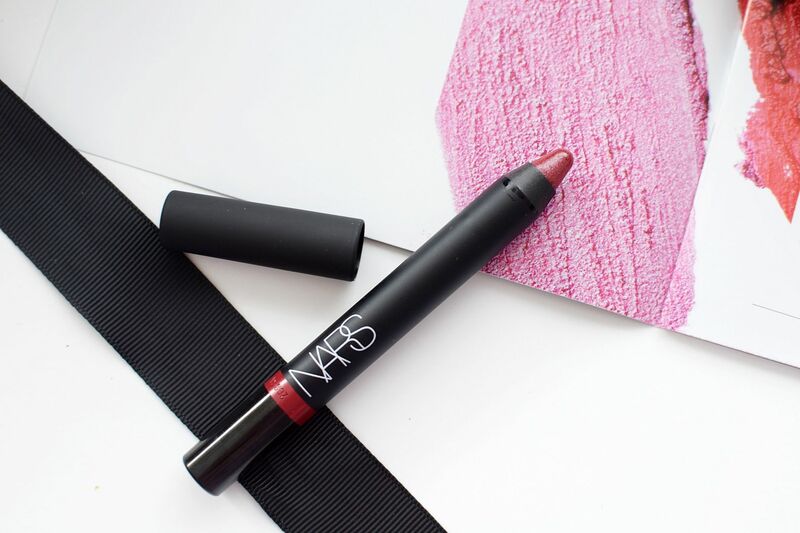 I love NARS products and this was great to get a full size lip pencil. However I just wasn’t a fan of this gloss lip pencil, it’s not something I would normally wear. I was a bit confused as in the booklet that came with the box it said it was a velvet matte lip pencil, but for some reason I had a glossy one. I think I would have much preferred a matte version and just wasn’t loving this one. This eyeliner is fab, it stays on and the blue is very dark so it’s a nice change from black. It’s something I’d wear more on an evening out than daily. It’s probably something I wouldn’t buy myself so was nice to try and now have it in my beauty cupboard. I say or above as you either got one or the other. I luckily got the bronzing spray which I was excited to try. 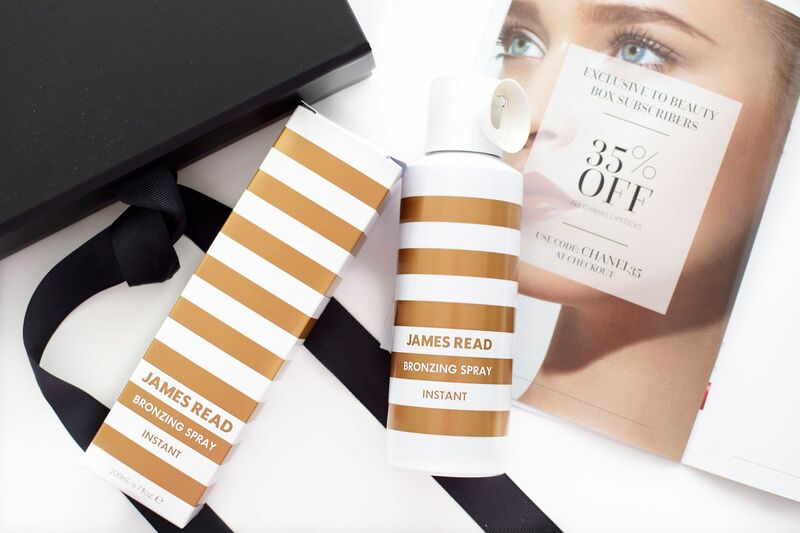 I absolutely love James Read’s face tan so was eager to get going with the spray one. I had seen great results with this on QVC and so tried it straight away. It did not go well. It doesn’t come out bronzed on application, it’s actually pretty clear and so it was hard to see where I was spraying it. Plus in bathroom light with no windows it was definitely not the easiest. So it did in fact come up patchy as from the areas I had missed. The worst was that my bathroom floor in about ten minutes, was brown and the soles of my feet which I had to spend a good time cleaning. It’s not the most practical tan for at home, but it did come up a nice colour and weirdly went amazingly on the hands. So bizarrely I might just use it as a hand tan, very carefully over the bath! I really like the idea of Cohorted and for £35, four full size products is good value, buying these separately would have been over £80. Also within the booklet was 35% off Chanel lipsticks, 25% off Lord & Berry and £5 off a magazine subscription for subscribers. Although with this month’s box I only really liked one out of the four products that I would continue to use, maybe I prefer smaller sized products and more of them, so if I don’t like a product it’s not a waste and more to choose from. But that said I would try out Cohorted again, as they partner with some lovely brands and it’s exciting to see what is inside. 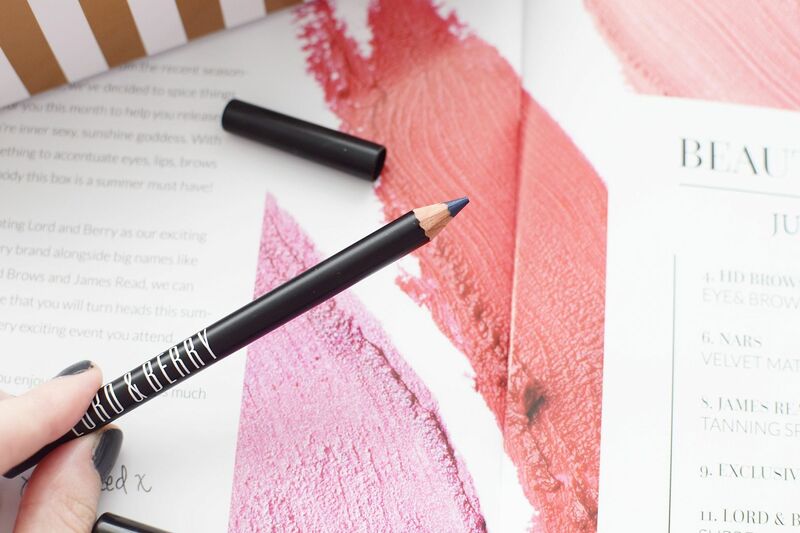 Have you tried the Cohorted beauty box before or would you try it? Sign up for a subscription over on www.cohorted.co.uk.